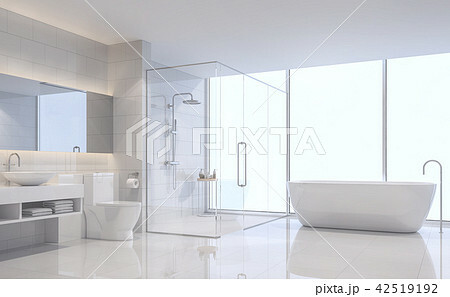 Modern white bathroom 3d rendering image. There are white tile wall and floor.The room has large windows. Looking out to see the scenery outside.